Francisco Lindor took the COMPv1 and made it his own, with three colorways for the 2018 postseason. He wore the blackout version in Game 1 of the ALDS vs the Astros, then the black/volt version in Game 2, and the Cleveland colorway in Game 3. 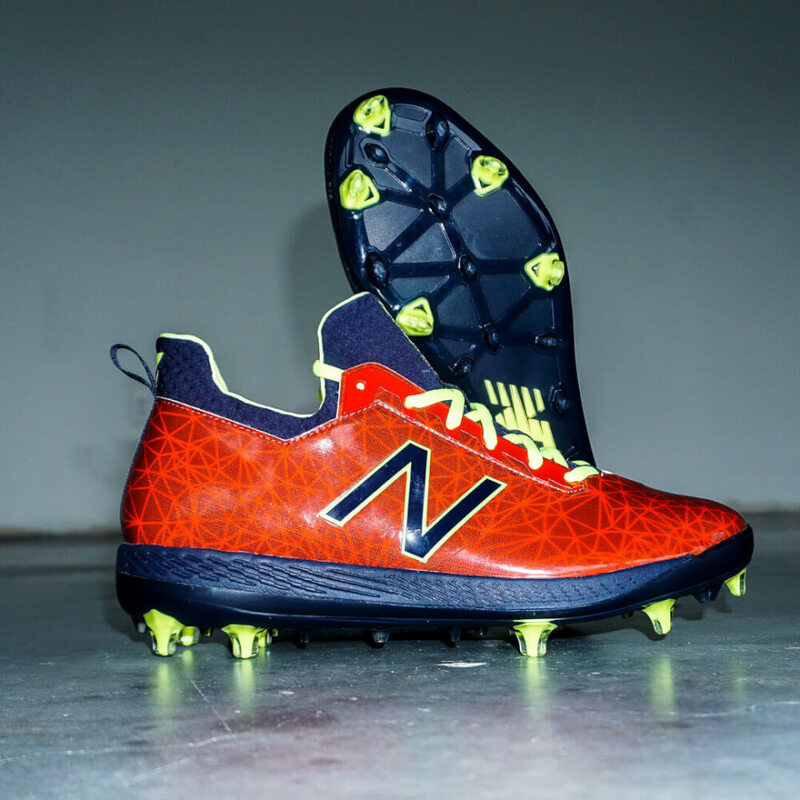 New Balance blessed Lindor with a signature cleat (built for youth players) that you can purchase in similar colorways to those pictured at this link. For big-footed ballplayers, shop the COMPv1, a cleat designed to perform on artificial turf just as well as natural playing surfaces.